There is a little known border dispute between tiny Bhutan and China. Bhutan sits wedged between India and China. It had historical ties to Tibet but was itself under the British Raj. When China conquered Tibet, several thousand Tibetans fled to Bhutan. The dispute dates back to documents signed by China and the British in India long ago. It covers land that were not well surveyed or landmarked. The dispute flared up again in July of 2017 when China attempted to extend a road to the Bhutanese border and India troops arrived to block their route. Engineers from the People's Liberation Army started construction of the road extension until they were physically blocked by Indian troops. Symbolically, the move was the first time that India had intervened in a thrid country to counter Chinese troops. The dispute stems from contradictions in the 1892 border agreement between the British Government in Inda and the Qing dynasty -- neither of which still exist. By extending the road China hopes to slowly strengthen its claim to the Dolam Plateau, which is a much larger area in dispute. India fears that in any conflcit, China would likely try to cut off India from its northeastern provinces by taking the Siliguri Cprridor, a narrow 20 mile bit of land between Bangladesh to the south and Bhutan to the north. Following India's independence and the Chinese invasion of Tibet, India and Bhutan signed a friendship treat in 1949. India provides security and substantial economic aid. However, there have been times that Bhutan diverged from India on foreign policy matters. India has not been happy as Bhutan has reached a few few agreements with China. In both countries, there were nationalistic feelings. In China it was louder because the news media it government-controlled. India's press had more nuanced reporting. There were reminders of the Indian loss to China in the 1962 Himalayan War, and old newsreels of that conflict. Ankit Panda thinks that this dispute will get worse before it gets better. India's intervention on behalf of Bhutan may have been unilateral. Bhutan has refused to way whether they asked for Indian support. India has consistently rebuffed Bhutan's efforts to establish trade and diplomatic relations with China. Stephen Lee Myers notes that Bhutan feels "suffocated" by Indian protection and is seeking a more neutral stance between the two powers. For a country where wealth is measured by the "Happiness Index", Bhutan remains remarkably peaceful. There are in fact four areas of dispute between China and Bhutan, with this just one of them. This western dispute is but one of two, along with two disputes over northern areas. China has proposed land swaps. The area of dispute only involves 34 square miles, but the symbolism is far more important to China and Inda, Bhutan's protector. It is the territory of Doklam, a point where India, China, and Bhutan meet. The dispute is over lands in the Chumbi Valley that connect to the Siliguri Corridor. During the 1962 India-China border war, Bhutan allowed Indian troops to traverse it territory. Bhutan and China have long-disputed the border but in 1998 signed an agreement (Five Principals of Peaceful Coexistence) that seemingly solved the problem. Bhutan asserts that China's building of a road on land Bhutan claims, violated that agreement. 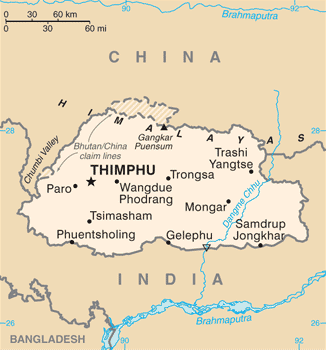 Bhutanese are Buddhists wh have close relations with Tibetans and have lived in fear of Chinese take-over since 1959 and the invasion in 1950 annexation inn 1951 of Tibet by China. India and China each moved about 3,000 troops to the border n 201 during the stand-off. 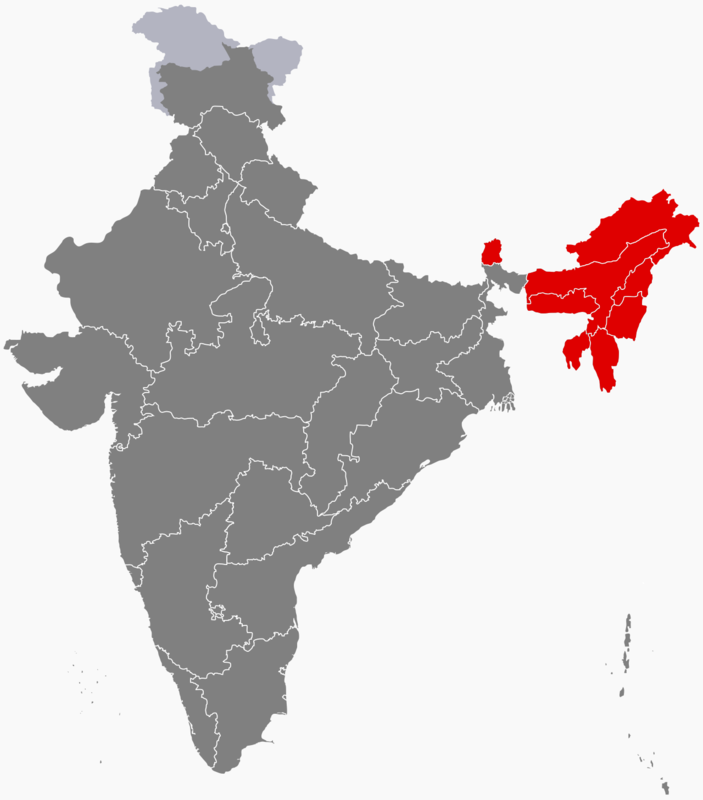 In 2012 there was an agreement between India, China, and Bangladesh (also with territorial claims in the area), that China's border dispute with Bhutan should be an agreement settling outstanding disputes in the region between all three. Until that time agreement, the status quo would prevail. India felt that China's extension of the road disrupted the status quo. China purportedly launched the road project hoping to drive a wedge between India and Bhutan, neither of which has agree to join China's Belt Road Initiative. India's rival Pakistan's is a key part of it.